Department of Justice Secretary Vitaliano Aguirre II has reversed a resolution on the petition for review on the dismissal of the parricide case against Bohol Provincial Board Member Nino Rey Boniel, the alleged mastermind in the murder of his wife Gisela, who was mayor of Bien Unido town in Bohol. In a five-page resolution dated March 27, Aguirre granted the motion for reconsideration filed by complainant Police Senior Superintendent Jonathan Cabal on January 29 that set aside the Bohol official’s indictment over the alleged killing of his own wife Gisela. “Wherefore, in view of the foregoing, the instant Motion for Reconsideration is granted and the assailed resolution dated January 29, 2018 is hereby reversed and set aside,” Aguirre’s resolution said. Aguirre issued the new resolution barely a week after the ruling on the petition for review was released. “We therefore find that the information for Parricide sufficiently alleges that the offense was committed within the waters of Lapu-Lapu City where Niño Boniel killed his wife and thereafter dumped the body thereat,” read part of the resolution signed by Aguirre. “Our resolution of the Motion for Reconsideration in this case clearly manifests that the Office of the Secretary of Justice will not be a party to any perceived miscarriage of justice. 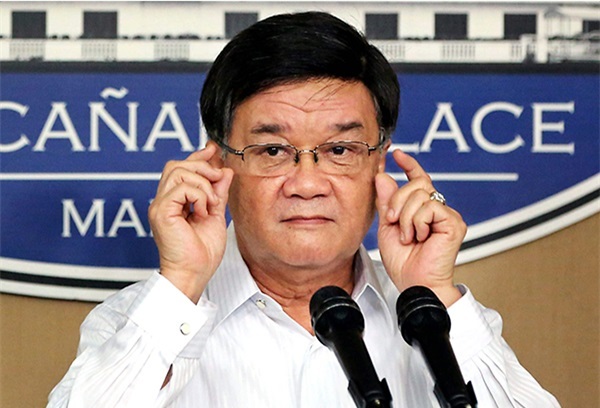 We will apply the law and the pertinent rule without fear or favor to any case,” Aguirre said. The Justice chief’s decision comes a day after he said he would discuss the outcome of the case with DOJ Undersecretary Reynante Orceo who signed the resolution — “by authority of the Secretary” — reversing Boniel’s indictment. Earlier, the review resolution set aside the earlier resolution of investigation prosecutors in Lapu-Lapu City in Cebu for lack of jurisdiction. “Wherefore, in view of the foregoing, the instant petition for review is granted and assailed Resolution dated 28 June 2017 of the Office of the City Prosecutor of Lapu-Lapu City is hereby granted and set aside,” read the 12-page resolution signed by Orceo. Orceo, however, said there is still a pending kidnapping complaint against Boniel before the Lapu-Lapu City Prosecutor’s Office. “It should be noted that a case for kidnapping is still pending in Bohol, whereby the same set of evidence has been presented to pursue the case against the herein respondent-appellant. The allegation that Mayor Gisela was killed by respondent-appellant was likewise presented before the prosecution office of Bohol by virtue of Riolito’s sworn statement,” he said.